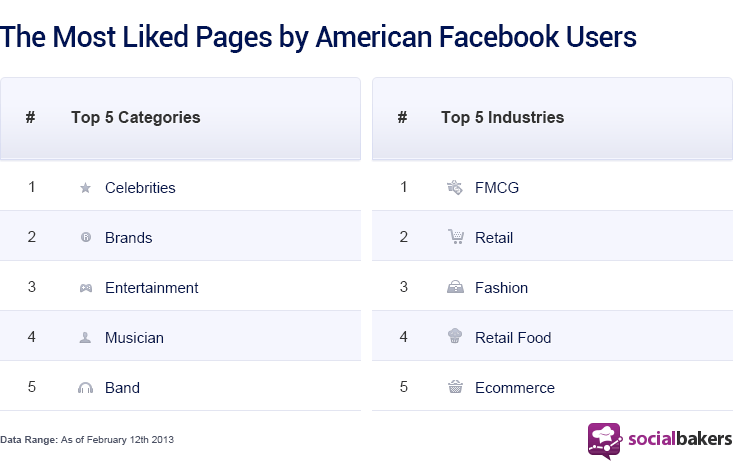 In 2009, a Facebook account holder Liked, on average, 4.5 Pages. In just four years, this number increased to an average of 40 Pages! Not only that, but brands have been expanding their use of social media in their marketing campaigns, raising the number of Facebook posts that they make from an average of five times per month to 36. This means that in 2009, Facebook users only had to keep up with a manageable 23 updates per month, whereas they are currently bombarded with around 1 440 updates per month! Some countries Like even more Pages than the 40 Page average, making them even harder to penetrate. The US takes the lead, Liking a whopping 70 Pages! 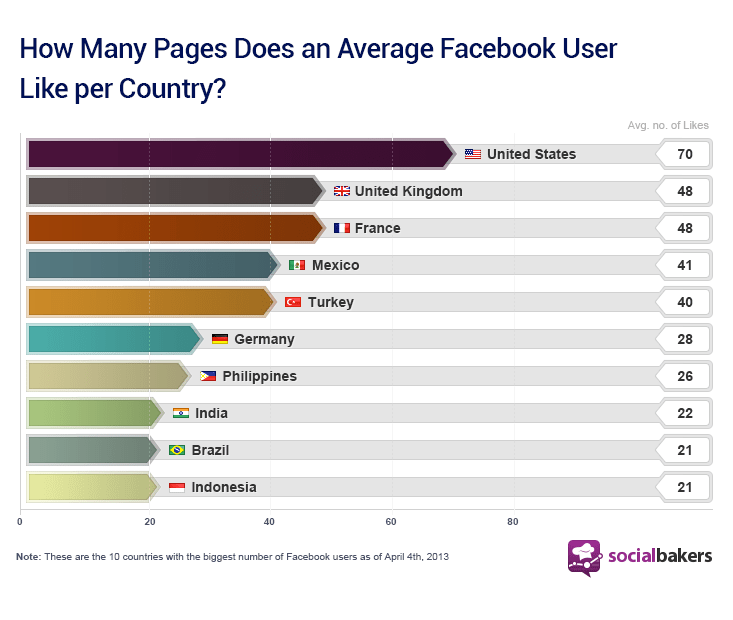 The UK and France are tied, with their Facebook users Liking 48 Pages, on average. Mexican Facebook users follow closely, Liking an average of 41 Pages. Our figures show that FMCG brands in the US may find it especially difficult to reach their fans, as this industry has the most Liked Pages. The retail and fashion industries are also taking advantage of the social media boom by creating Facebook Pages to show off their goods – and the American fans appear to Like it. But, how can brands in these industries create posts that will engage their audiences? Can Your Posts Reach Your Fans? The huge increase in brands’ posts over the years makes it all the more difficult to engage your fans. With the congestion users receive in their New Feeds, brands must pay attention to the content they are posting, the frequency, and the times of day. Remember, more posts don’t always mean higher engagement. Fans may get overwhelmed if your posts are cluttering their News Feeds and it may ultimately result in them Unliking your Page. Determine which times of day and days of the week are most effective in reaching your target audience, and post at a frequency that your fans can enjoy. Next PostNext How Google, Yahoo, Apple, Facebook, and Amazon track You!